I had the pleasure of interviewing Bhavya Rehani, MD, Assistant Professor in Neuroradiology at University of California, San Francisco and founder of this year’s winner of Tech Startup of the Year, Health4theWorld. 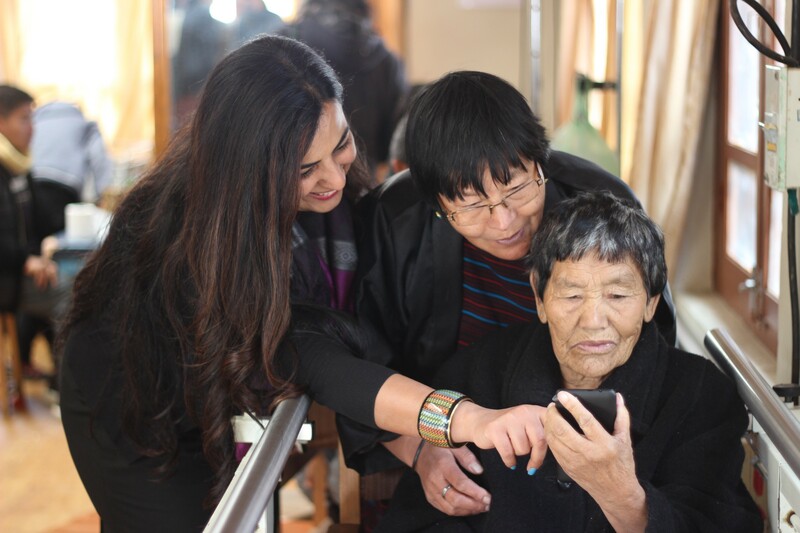 Dr. Rehani — a first-generation immigrant from India, co-designed an award-winning application — connecting doctors, nurses, health care workers, and allied healthcare professionals in low-resource settings to premier academic experts and online training in the US. Health4theWorld serves 22 countries and 3,500 people annually and offers training in cardiology, neurology, radiology, pediatrics, palliative care, geriatrics, and much more. I am a physician neuroradiologist, CEO and founder of Health4theworld, tech enthusiast, a new mom, a wife and an optimist. There are unmet medical needs worldwide, which leads to pain and suffering affecting millions. I believe that we can create solutions to help. I was born in a loving family in India. 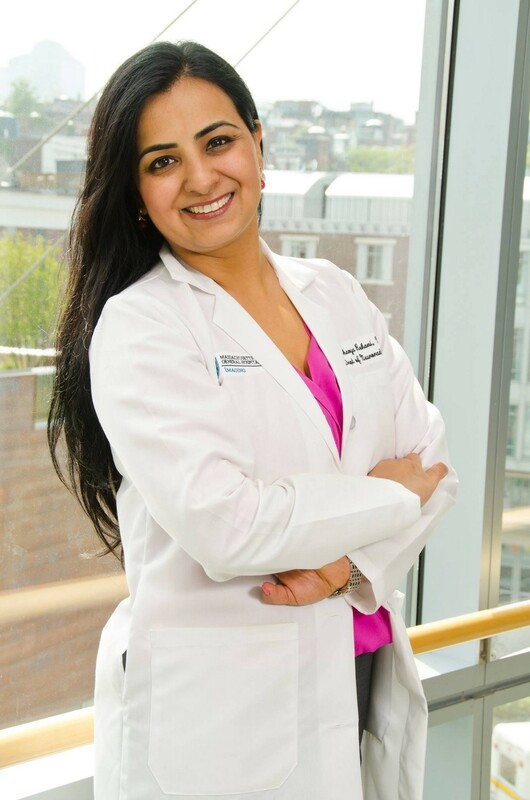 After spending my childhood years in India, I moved to the US for residency training in Radiology at University of Cincinnati and a Neuroradiology fellowship at Massachusetts General Hospital, Harvard Medical School. After finishing my training, I moved to University of California San Francisco as a faculty Neuroradiologist. I had always wanted to start a nonprofit to promote health in low resource communities. About a year back, I took the leap of faith and started Health4theworld along with excellent co-founders Drs. Ankur Bharija and Bill Dillon. Health4theworld has grown fast and we have been able to reach doctors and patients in 22 countries in one year. Recently, we were awarded the Tech Start Up of The Year Sliver Stevie American Business Award. The people we help everyday and their smiles have made this journey fulfilling. Health4theworld is inspired by unmet medical needs worldwide. I used to visit my grandad who lived in a small village in India. He was a man known for his kind heart and amazing smile who always wanted to help everyone in the village. One day when he got up with a Stroke, there were no doctors, therapists or care facilities to help him out in a timely and appropriate manner. Visiting him during the post-Stroke years opened my eyes to the problems which people face due to lack of health access. I saw more and more health disparities during my travels and meeting firsthand people in different parts of the world. These experiences inspired me more and more to develop sustainable solutions that promote better health in remote and low resource communities and led to Health4theworld. We are creating futuristic, innovative, andfree technology and education solutions to promote health in low resource communities worldwide. The technologies include machine learning, mobile health, augmented reality and virtual classrooms. Our aim is to create long term solutions to empower doctors and patients. The solutions include a mobile application designed for Stroke patients and caregivers, which is available in multiple traditional languages like Swahili, Nepali, Filipino, Spanish, Chinese, French etc. We have created machine learning based chatbots to educate health care providers and engage patients. Virtual reality is being used for education of health care providers and mind exercises for patients. Virtual classrooms are being used to educate health care providers in 22 countries by leading health experts in USA. Our aim is to help as many people as possible by creating solutions which are a good fit and which last. My mentors have played an important role in my career. Dr. Haile Debas has served as the Founding Executive Director of UCSF Global Health Sciences (2003–2010), Dean of the School of Medicine (1993–2003), Vice Chancellor for Medical Affairs for six years, and Chancellor for one year. He is an advisory Board member of Health4theworld and has helped us shape sustainable solutions in global health. Dr. Dan Lowenstein, Executive Vice Chancellor and Provost, UCSF is a part of the advisory board of Health4theworld. A leading educator, he helped me with our free education initiatives and has always been available whenever I need his valuable advice. He is an inspiring educator who is loved and respected by students apart from a leading physician. Dr James Thrall, Chairman Emeritus, Department of Radiology, Massachusetts General Hospital, Harvard Medical School. A renowned radiologist leader, he always mentored me on leadership skills, career advice, intellectual reasoning to face problems and following what I want to do in my life. We are building one of the largest online platforms, where anyone anywhere in the world can access the medical information needed to help patients and healthcare professionals in low resource settings. The learning management system will provide videos and training materials from top medical faculty from leading teaching hospitals in US across a range of specialties. This will be free of cost and open access available anytime and anywhere. Every health care professional anywhere deserves to have access to the medical knowledge to save and improve lives of their patients and this platform aims to to bring education and health to remote corners of the world. 1. “There is no greater happiness than helping others.” My grandad and dad taught this philosophy when I was growing up. They said if you focus on your own life, it is easy to be selfish and self-centered. True happiness lies in helping others. I had always wanted to create an organization which promotes health in low resource settings to help those in need. This led to Health4theworld where we learn from the people who we help and they drive us to find better solutions everyday. 2. “Never give up. Follow your dream no matter what. Believe in yourself.” There are days when we face challenges which are huge. There is a lot of hard work required when we work on creation of innovative futuristic sustainable solutions at Health4theworld. We listen to doctors and patients in different countries and make changes to the technologies continuously so they can benefit the most. As a mom, wife, CEO, Founder and neuroradiologist, I try to do the best as I can in all these roles. My husband, who is the Co-founder of Health4theworld, always has something nice to say and a potpourri of pep talks about not giving up when we hit a roadblock. He is a Geriatrics and Palliative care physician at Stanford and both of us had decided to dedicate our efforts to bring health to remote communities. We remind ourselves of the people we want to help and keep going. 3. “You can’t do it all on your own.” When we started Health4theworld, I used to take on monumental tasks single-handedly. Dr. Bill Dillon, who is also a Co-founder of Health4theworld, trusted friend and a renowned UCSF neuroradiology professor told me that it is not possible to do this on our own. When we started, we had a small team of 3 people. I was trying to build a website, make a mobile application and learn to code, all by myself. In our office meetings, we discussed the kind of individuals who could help us. I focused on building a solid team and wanted mission driven individuals who propel Health4theworld with their passion. As a CEO, I feel lucky to have team members, who are dedicated, brilliant and want to give back. More than a team, we are a family dedicated and inspired by a common mission. There have been times when I myself have been tired or sick but the tireless spirit of the team has kept me on my toes and inspired me. One day, as a teenager, I had just come back from school and was working on my homework. My dad approached me and put the book “100 Great Lives” on my table. He had got it from a book fair. He was in a sentimental mood and confessed that he always wanted to read many good books as a kid. However, he never got into the habit of it. He had always hoped that his kids would get into reading good and inspiring books. Then he paused and kept his hand on the book, didn’t say anything else and left. I was touched by how honest he was about sharing what he always wanted to do. So, that day I started reading the book “100 Great Lives”. I read it every night. All the amazing biographies inspired me and opened up my mind to how people who had made a difference in the world lived their lives. How they persisted and overcame obstacles, how they didn’t lose focus on their greater purpose and passion in life and in turn ended up making the world a better place for all of us. Their life stories still come back to me today. I have always been inspired by Bill & Melinda Gates and Ariana Huffington. Bill & Melinda have made countless contributions to global health and I have immense respect for what they have done. Ariana Huffington’s contributions as a visionary woman entrepreneur through Huffington Post and now Thrive Global are exemplary.